Choosing a dog bed is an important task. It’s one of the most expensive items that you will purchase for your dog, so it’s essential to get it right. But with the sheer number of dog beds available, it can seem overwhelming. So how do you choose the best dog bed for your dog? Actually, with a few insider tips picking a suitable bed need not be a difficult job. Taking time before you spend out to match your dog to the right bed will mean that you only have to invest once. What’s more, getting it right will mean that your dog has a comfortable and safe place to sleep. And as our dogs spend so much time snoozing it’s an investment that’s worth making. Where are you going to put the bed once you’ve bought it? What needs does your dog have? How does your dog prefer to sleep? If this is the first time you’ve purchased a bed for your dog, there are a couple of things worth considering before you even begin your search. It may seem like a silly question but the location of the bed matters. Not only because the bed has to fit in the space available, but also a dog’s bed should be somewhere where they can go and not be disturbed. Location is more of an issue if you have a large dog as you need a bigger area, but all the same picking a spot where your dog can go and sleep in peace is essential. What’s more, location is critical regarding what design to choose. Cold floors, draughts, and bright lights can all influence your choice of the best type of bed to buy. Ideally, providing your dog with a choice of beds is good so that they can decide whether to go for a quiet snooze or spend time relaxing in the company of the family. Our dogs change as they age, and so do their needs. A puppy may have very different needs from an elderly dog for example. Also if your dog has certain health conditions like arthritis, you may want to consider that while choosing the most comfortable bed options for them. Breed type and climate are also worth considering. If you have a husky but live in a hot environment, your dog is unlikely to want a cozy cave type bed. On the other hand, if you have a Yorkshire terrier and live in a cold climate, they are going to want a bed that is as warm as possible so a heated bed may be ideal. If you’ve spent any time with your dog, you may already know by now how they prefer to sleep. While some dogs love to stretch out, others prefer to curl into a tight ball nose in their tails. Some dogs enjoy semi-enclosed spaces and others who like a pillow to rest their head on. During a long sleep most dogs will change positions and as they do the shape and size of the bed becomes even more critical. Just like us, our dog’s shoulders and hips need support as they snooze and there should be enough space in or on the bed so that they can move unrestricted. It’s probably not something you’ve considered at any length but what do you want from a dog bed? Does it need to be washable, chew proof or fit in with your decor for example? Are you choosing a dog bed for an outside space so that it needs to be waterproof? Or perhaps you live in a hot climate and need a bed that helps to keep your dog cool? Thinking about the features you want from your dog’s bed combined with what your dog needs from a bed will help you make an informed choice. Dog beds are not cheap. But they are a long term investment in comfort for your dog. Buying the best quality bed for your budget is a better investment than the purchase of a cut-price one. As with any bed, human or dog, quality varies. Always look for supportive, hard wearing and preferably washable options to ensure you get the most for your money. If a dog bed is such a significant investment and dogs have been using floors for thousands of years, you may be asking yourself why purchase a dog bed at all. It’s true that dogs will sleep on the ground if they don’t have another option. It’s also true that even if you buy the most luxurious bed, your dog may still choose to snooze on the floor. 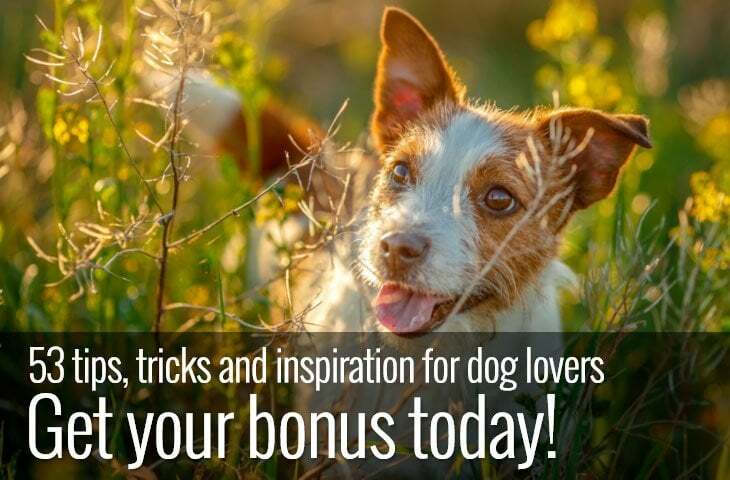 However, dog beds do offer several advantages for both you and your dog. A good dog bed will protect from the cold and draughts. It’s easy to forget that our dog’s health, just like our own can be affected by the cold. This is especially true for dogs that only have a single coat, like Staffordshire Bull terriers, whippets, and Yorkshire terriers. For these dogs providing somewhere warm to sleep in colder months is essential. Basically, if you are cold, your dog will be too. What’s more dog beds can also offer protection from the heat. Rising temperatures and surfaces like concrete can trap heat and make it uncomfortable for your dog to rest. Heat can affect our dogs sleep in the same way that it does ours. So providing a bed that is either raised to allow for air circulation or that has cooling benefits can make your dog much more comfortable. These types of beds are especially suitable for dogs that are heat sensitive like the Akita. As our dogs spend so much time asleep or snoozing protecting their joints and bones is essential. A good dog bed will provide cushioning and support for our dogs and help prevent unnecessary damage to joints. 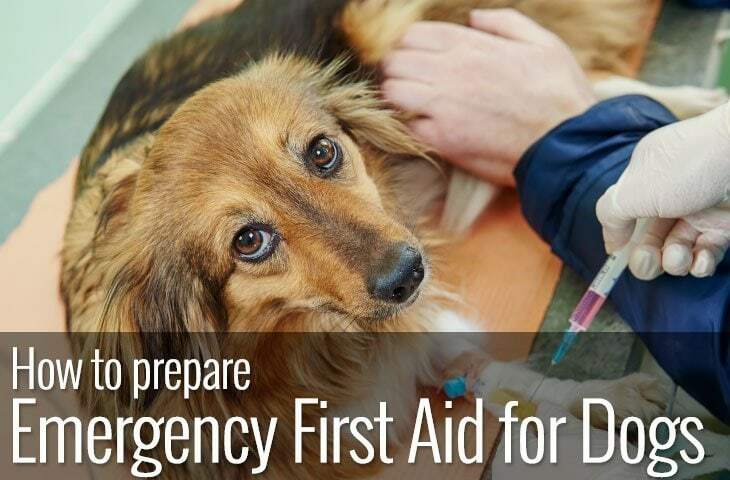 Even if your dog is young and healthy repetitive shocks to bones and joints as they lay down on hard surfaces can cause issues, the least of which is hardened skin around the elbows. But protection becomes increasingly more critical as our dog’s age. A good dog bed can help older dogs or dogs with conditions such as arthritis or obesity be much more comfortable. Generally speaking, the older the dog, the more supportive and cushioned the dog bed should be. Although some dogs don’t seem to know the meaning of personal space, that doesn’t mean they shouldn’t have the option to go and enjoy some. 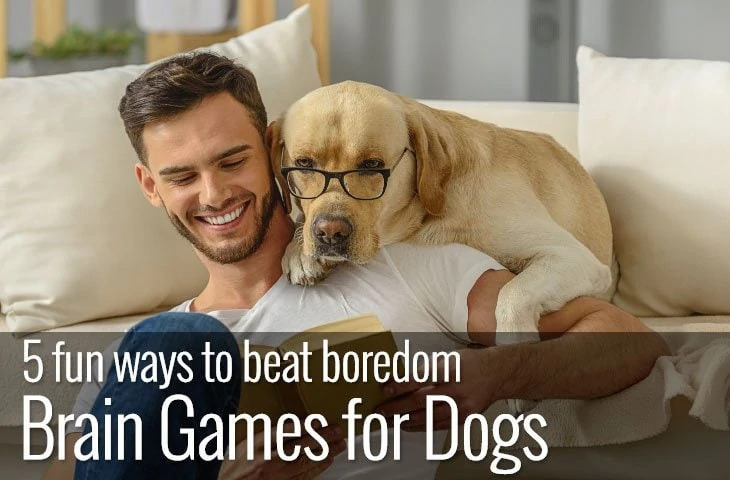 Dogs vary a lot in whether they enjoy time alone. But providing a bed where your dog feels safe and secure is essential. When dogs are unwell, scared or just fed up with the hustle and bustle of a busy household they need somewhere they can retreat to and benefit from quiet time. Ok, this may be a bit of a stretch. But providing a bed for your dog does mean that the majority of your dogs shed fur should end up in their bed rather than yours. It also means that dirt, mud and any other detritus is more likely to end up in one place rather than all over your house. Dog beds with removable and washable covers mean that you can keep control of doggy odor. And waterproof dog beds are a great option if you have a dog that likes to take a daily swim. Imagine trying to jump on and off a large platform several times a day. It may not be such an issue if you are big and the platform is small. But what about if the platform is double your height? Small dogs do this daily when they jump on and off couches. Even for large dogs the impact on their forelimbs when jumping off a sofa can have significant consequences. If you can encourage your dog to use its bed, you can minimize the risk of injury or long-term joint problems. Without a doubt, the number one most common mistake when buying a dog bed is purchasing the wrong size. Just like us, our dogs like to sleep in a variety of positions and your dog’s bed should be able to support your dog however they choose to sleep. The simplest way to get the right size bed is to measure your dog. Firstly, measure from chest bone to tail for length and then measure your dog’s height from top of the shoulders to floor. Once you’ve done that add six inches or fifteen centimeters for best possible comfort. If you find that your dog is in between sizes always opt for the larger bed. Unfortunately, there isn’t a magic formula for getting the right size dog bed. Manufacturers typically have their own sizing charts, and it’s worth reading them thoroughly. When looking at measurements of a bed, it’s important to remember that you are looking for the measurements of the sleeping area, not the overall size of the bed. Of course, there is more to selecting a dog bed than just getting the right size. So what else do you need to think about before you purchase? 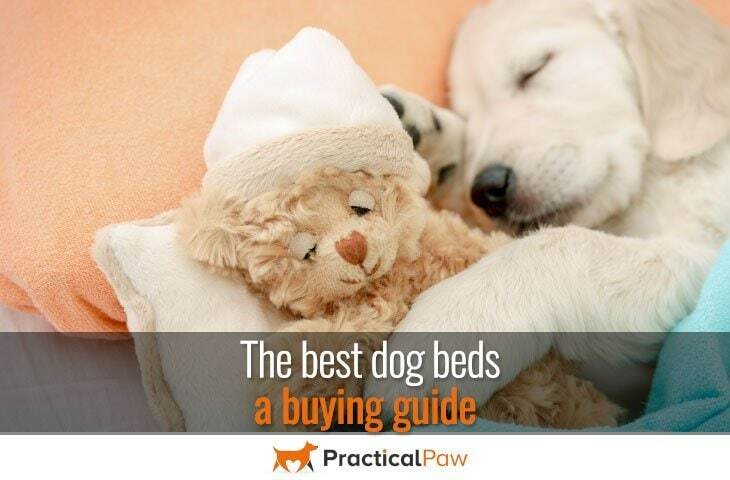 The style of bed you choose for your dog is essential. Often we can get an idea of our dog’s preferences based on where they spend their time snoozing outside of bed. For example, my dog likes to rest his head on something while he sleeps so when I picked a bed I chose one that had an integrated pillow. So let’s have a look at the type of beds available before we dive deeper into the best bed for your dog. As there are so many styles of beds available, it’s useful to simplify the options before we look at specific examples. For example, nest beds, also known as a doughnut or bagel beds are round beds with bolsters and are perfect for dogs that like to sleep curled up. Whereas mattress beds are most often rectangle without bolsters providing a flat sleeping area for dogs that like to stretch out. If you keep that in mind when looking at dog beds, it will help keep things simple. Having said that dog beds have come a long way from a box with a blanket in it. So here is our run down of the most popular types of dog bed available. This type of bed is often made of memory foam and offer more support than traditional beds. They are available in a variety of shapes and sizes but are ideal for older dogs or dogs with joints problems such as arthritis. Elevated dog beds tend to be a hammock type bed that can be used both inside and outside. Generally made with a metal or wooden frame with sturdy easy to clean material stretched between. They are great for getting your dog off cold hard floors or providing additional air circulation in warmer weather, but they don’t offer much support or padding. If your dog suffers from the cold, a heated dog bed may be the answer. Heated beds usually come in two forms; the first includes an electrical component that is either integral to the bed or separate as a mat. The other is a self-heat alternative. This type of bed works by reflecting your dog’s body heat as they sleep. 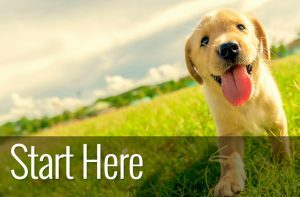 If you live in a hot climate or you have a dog that suffers in the warmer months, then this type of bed may be the best choice. Cool beds are either elevated to allow for better air circulation or include a cooling gel that will keep your dog from overheating. If your dog does prefer to sleep outdoors, then there are great options that offer temperature control, comfort and weatherproofing. Well, whether a dog bed is durable or not depends on your dog’s determination. But there are indeed beds out there in the marketplace that offer a challenge to strong chewers. So if your dog likes to pull the stuffing out of a standard dog bed buying something a bit tougher may be a long-term investment worth making. If your dog likes to relax outside, waterproof dog beds offer a durable and hygienic option. Not only that but water resistant beds are the perfect choice for dogs that are prone to night-time accidents and are easy to keep clean. Our dogs spend so much time sleeping that having somewhere comfortable to rest is essential. Not only that a bed provides a safe place for your dog to retreat to if they are anxious or unsure. Despite the wide range of dog beds available, finding the best one for your dog doesn’t have to be a difficult task. Once you know the size and sleeping preferences of your dog the rest is easy. Using a few insider tips and working out what both you and your dog need from a bed means that your investment should last a lifetime.